This lovely authoritative guide covers 20 common weeds in depth and then another 20 or so more briefly. Everything from amaranth, angled onion and blackberry nightshade to nettles, prickly pear and purslane. The first chapter looks at how to find weeds as well as talking about poisonous plants and nitrates, oxalic acids and contaminants found in weeds. 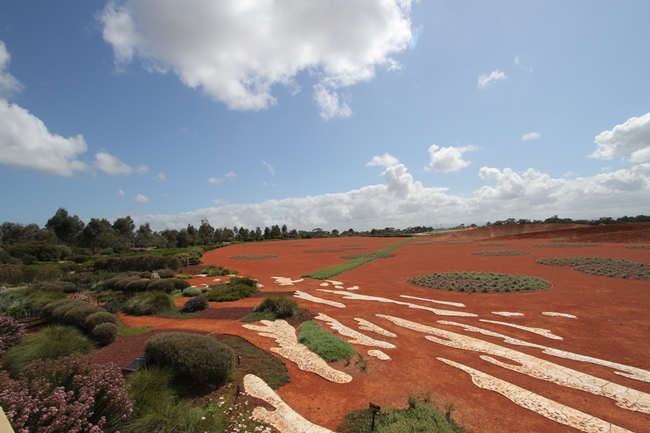 I love the anecdotes about the history of each plant, the way they have been used in different cultures and the really excellent photographs. The final section is full of recipes like green smoothies, weed salads and frittatas, nettle gnocchi and prickly pear pizza. It is not just full of good information, but is also a lovely book to hold and use, fitting neatly into your hand and pocket so that you can easily take it with you when out for a walk. 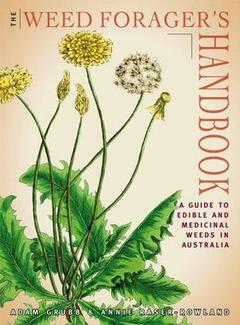 The authors run regular weed walks in Melbourne. Borrow it from your library, buy it from your local independent bookshop or buy a copy online from our store. Common onion chives (Allium schoenoprasum) are probably one of the most under-appreciated and most taken for granted herbs we grow. Instead of sulking in a corner because of their treatment, in my garden, the chives are powering ahead growing into dense clumps ready to flower in a month or so. 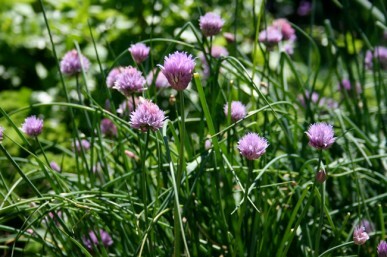 Chives grow in clumps of small white bulbs which send up soft tubular green leaves to 40 cm and, from early summer onwards, rounded heads of pinkish-purple flowers on stiff hollow stems.